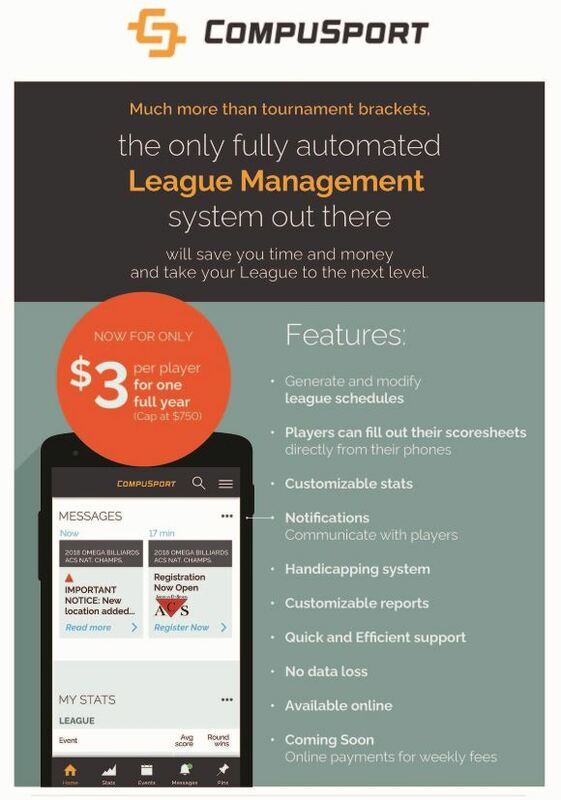 ACS endorses CompuSport League Management software. 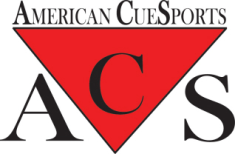 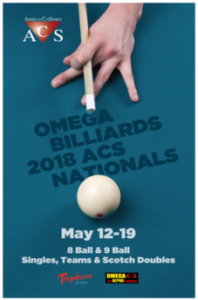 American CueSports Alliance (ACS) continues its policy of sanctioning any type of pool league using any type of scorekeeping, formatting and league management record-keeping program (excel, web-based, self-programmed, etc), but they were impressed with the CompuSport league management software. 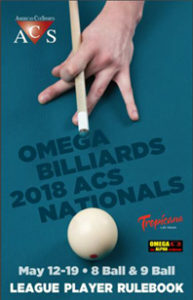 This is the same software ACS uses at ACS tournaments such as the ACS National Championships in Las Vegas.